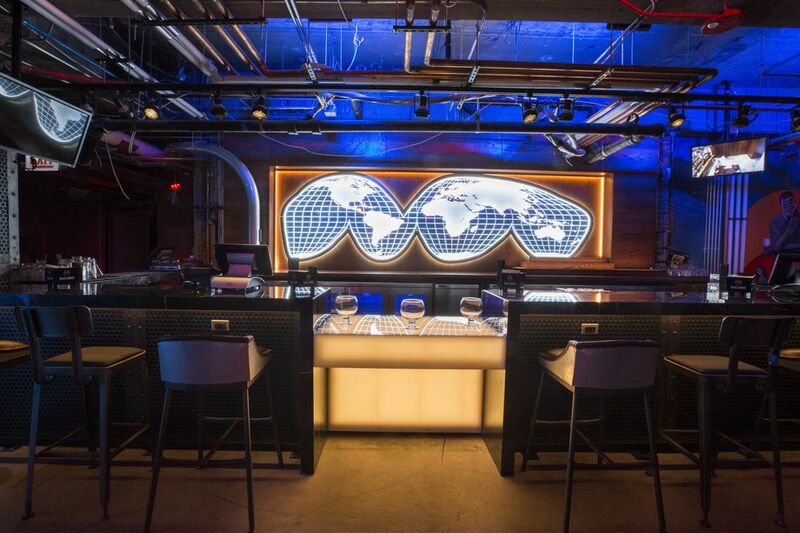 Agents from across the city have infiltrated SafeHouse Chicago, the River North restaurant/bar filled with spy-related memorabilia, including vintage trinkets from the James Bond movies and the old “Get Smart” television show. It opened on March 1 and the formula is a modernized version of SafeHouse’s original location that opened 50 years ago in Milwaukee. Is SafeHouse something special in Chicago or a tourist trap? Read on. Comparisons to Milwaukee: SafeHouse took its time in opening a second location. But ownership isn’t going for a carbon copy experience. The prices are higher, thanks to Chicago’s higher cost of living, as “the Chicago craft cocktail menu leans toward sweet bourbon drinks, with their ‘covert concoctions’ a full $2 and $3 more than the same drinks served back in Wisconsin,” writes Yelp user Jamie M.
The cheese curds have gotten mixed results, which is a shame given SafeHouse’s Wisconsin roots. Yelper Jamie M. wrote that they were “perfectly browned Wisconsin mild white cheddar nuggets, hand dipped and fried to order.” Catherine C. writes that were average. The decor and details were also appreciated. The bathroom is even part of the theme. Now that's a cool toilet. Being downtown, SafeHouse needs to also be a place for families and their kids, and it appears it excels at that. “This bar is a must see and is great for all ages. Also, for the husband/wife looking for something fun to treat their significant with, they offer something special for you,” wrote Marcell P. on TripAdvisor.